How do you feel about your current life insurance coverage? How should you determine the right amount of life insurance for your situation? First, start by getting an understanding of the total economic contribution you make to your family over your expected lifetime, this is called your Human Life Value. A well-established method used by courts to quantify damages in wrongful death cases, the Human Life Value approach can quickly determine how much life insurance you need to help ensure your family’s financial independence. How Much Are Your Futures Worth? Graph is for illustrative purpose only. Once you have purchased life insurance, it’s tempting to file your policy away and forget about it. However, it is vitally important for you to review your policy on a regular basis--especially as the circumstances of your life change. Changes in the life insurance industry have made premiums less expensive and life insurance underwriting friendlier. What impact does today’s interest rate environment have on my life insurance? Are the products you are using among the most competitive and cost-effective on the market today? Has your health improved, have you lost weight or stopped smoking? Is your life insurance in danger of terminating before you do? Is your life insurance structured to avoid income and estate taxes? These are just some of the questions you should be asking about your current coverage. 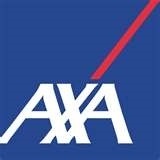 Ask about us our life insurance audit and review.